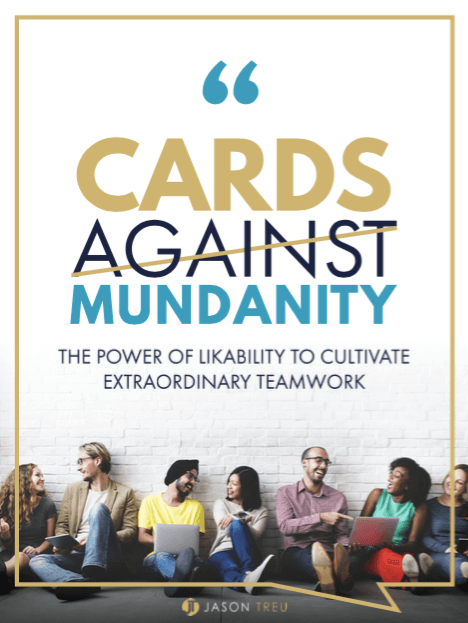 Cards Against Mundanity is the ultimate team building and performance workshop and game that builds extremely high levels of trust, connection and sharing in minutes through a proven, tested and scientific methodology. It helps leaders and managers communicate and collaborate much better, sky rockets team and employee engagement and performance, and creates a culture that helps individuals accomplish impossible goals and set very high standards of excellence. And that’s just the start! It’s based on a famous research study where complete strangers built THE closest relationship in their lives in 45 minutes. More than 12,000+ people have played Cards Against Mundanity including organizations such as Amazon, Google, Microsoft, Ernst & Young, Oklahoma City Thunder (NBA Team), Merck, Novartis, Intel, Houghton Mifflin Harcourt, Southwest Airlines, PRSA, Blue Cross Blue Shield, Thermo Fisher Scientific, Worldwide Express, Phillips May, Houston-Galveston Area Council, and many others. Workshops on average increase trust, engagement, and closeness by 20%+, which translates into major gains into performance, teamwork, communication and increase customer satisfaction and acquisition. The team building and performance workshop scales to any size corporation (in the US, Europe, Asia, etc. ), startup, nonprofit, school, association, financial, legal, venture capital, and many others. It can be used with an individual team, remote teams, board of directors, executive teams, managers, company-wide, and also used with strategic 3rd parties such as partners, investors, suppliers, customers, and more. The workshop and game were excellent: the team was very appreciative of the event, and it kept coming up as one of the best experiences they’ve ever had. As a manager, that was great to hear. Throughout the following two days, we hosted some guests from other groups, and we asked them to answer random cards in front of the audience: some of their answers were surprisingly deep and instantly helped to establish trust between them and our teams. According to Gallup, almost 70% of employees are disengaged and it’s costing U.S. businesses $550 billion every year. Fewer than 33% of organizations believe they’re innovating enough to successfully drive growth and increase revenue. 96% of executive cite lack of collaboration of ineffective communications for workplace failures. 75 percent of cross-functional teams are dysfunctional. Google’s famous study in 2014, Project Aristotle, found that social cohesion and connection was THE reason for all their high performing teams globally. There was no single individual characteristic that was consistent that was linked to high team performance (education, individual performance (even all-stars teams didn’t perform at the highest levels), background, etc). The #1 key is how well the team interacted with each other and other teams across the organization. Trust is the glue that changes everything and makes doing the impossible possible. It’s essential for extraordinary teamwork. Vulnerability is the rocket fuel for trust. If we can increase vulnerable we can exponentially decrease the amount of time it takes to trust someone. Here is an example: Have you ever met anyone where in the first 5-10 minutes, you felt like you knew that person your whole life? Or at least you felt you knew them extremely well? The key here is you both vulnerably shared information and much more so than you normally do. You accomplished in that one conversation in what normally takes 20-30 interactions. Vulnerable self-disclosure is #1 THE proven way to accelerating relationship building far surpassing anything else. 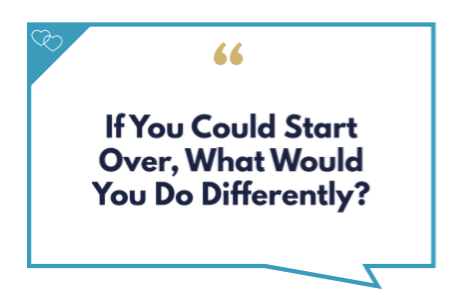 1,000 “trust falls”, happy hours, lunches, company meetings/trips, or playing games won’t do as much as someone telling you: “Thank you for having my back”, “I care about you”, “Without you we couldn’t have done this”, “You just did an incredible job”, etc. IT’S THE WORDS THAT MATTER MOST TO US AS HUMANS. Think about the best team you’ve ever been on. The team that was the most cohesive, cooperative, deeply connected, and productive. Maybe it was a job, a sports team, club, startup, an event you were apart of, etc. How did it feel to be connected to something bigger, to sort of lose yourself in that moment? What emotions come to mind? That feeling and emotions you just thought of is…THE…most…powerful…business…asset…on…earth. It’s what separates the top 1% from all the rest. Leaders struggle and stay awake at night trying to figure out how to create that feeling and conditions for others to thrive. 99% of them never figure it out. Leaders and managers can operationalize this by learning how to “dial in” to the right behaviors and environment to put every person in their peak state. Harvard found over an 11-year study of 200 organizations that ones with a strong culture and high levels of trust increased net income by 756% versus ones without it only increased by 1%. I was impressed after I heard Jason speak at a PRSA Dallas Luncheon. When our company was planning activities for an upcoming meeting, I immediately thought of Jason’s team building cards (Cards Against Mundanity). Jason not only provided all the materials we needed, and he was kind enough to walk us through the game, answer our questions, and provide insight from the survey results. The team enjoyed the activity and we received feedback that members felt more engaged after participating. I would highly recommend him as a facilitator for any team meetings. Our clinic was struggling to maintain positive morale. After attending Jason’s workshop, I was able to take what he said and put it into action. After our first team building session, I noticed a difference in how the group was communicating. The transformation has been steady and continues to grow. Word quickly spread within my company on how successful this experience was so there are plans to use Cards Against Mundanity in other clinics across the nation. Jason’s session was life-changing both professionally and personally. When we began, I sat amongst a group of strangers. But 45 minutes later I felt I was among a group of friends. The questions were powerful and thought-provoking. We shared some laughs and shed some tears. 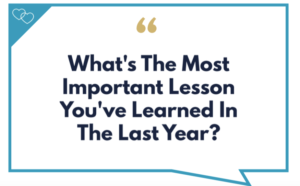 I left the session feeling inspired to use the lessons learned at my organization. I got a tremendous amount from your keynote address and highly recommend every organization plays your employee engagement and team performance game – it’s amazing and there is nothing out there like it. I summed up the key points in a blog post I wrote. I am planning to use Cards Against Mundanity game (and workshop) with both my executive team when they come down to Florida in March and with my EO Group (Entrepreneurs’ Organization). After spending three years interviewing more than a thousand individuals, including leaders and teams in Fortune and Forbes Top 10 Workplaces in 2017/2018, I’ve discovered specific team building strategies and activities any organization can do to quickly increase engagement and performance as well as work better with internal and external teams. These can be your strategic advantage in the marketplace as I’ve only found a handful of organizations that use them. Even if your organization is doing very well, if you don’t have these team building and performance strategies (including how to manage/interact with others much more effectively), there is a very high likelihood they aren’t operating at peak performance, engagement and innovation. Why teams thrive and falter, and how you can quickly implement strategies that will make an immediate and material impact. Everyone will understand their role to play, and what they need to do (and why). I’ll also share specific strategies and tactics the top 1% of managers use to get others to perform at their peak level on a continuous basis. They will also be much more effective in managing and engaging others (either their team, colleagues, their managers, across different teams, and externally with key stakeholders). They’ll be able to put these to work immediately. Play my breakthrough team building game, Cards Against Mundanity, that people love. Your team will walk away much closer together and see you will see the impact on their performance, engagement, and interactions the next day. Get ongoing activities to do that are fun, easy and impactful that keeps building on what you learned in the workshop to even increase performance, engagement and teamwork more over time. What are the benefits teams and organizations realize after the workshop? You can download my free team building game, Cards Against Mundanity. It comes with instructions and all the details. You can set it up in five minutes or less. Start playing it on every team across the organization. Teams don’t need to be in the same room to get results cross-teams. It works with remote teams. You can contact me here to discuss my team building workshop and to see if it would be a good fit for your team and/or organization. I loved your session (at the Sales Leadership Summit). Playing Cards Against Mundanity was amazing and one of the best activities I’ve ever done. Can’t wait to try the game out with my team! Jason’s presentation was really resourceful and opened up managers at our organization to have conversations on best practices to lead their teams. His workshop and game helped to build cohesion between managers from different departments. Jason has a very interactive approach to his coaching that provided managers to have some practical lessons at the end of the session. We are very fortunate to have him present to our managers, he is an inspiring leadership coach that provided management lessons through his past experiences. I highly recommend Jason’s training sessions and presentations to spark innovation, motivate employees, and improve leadership skills within your organization. Very grateful that Jason was able to join us as a guest speaker at our recent AA-ISP Austin Chapter meeting. Jason did a fantastic job, I was very impressed by the amount of time Jason took to understand our audience, the content that would be most beneficial, and the preparation to ensure a successful event. Jason provided an excellent overview of what makes a great team and then provided us with the tools (including Cards Against Mundanity) to go back to our respective teams and build a culture of trust and collaboration. Jason really went above and beyond for our Chapter meeting and would highly recommend Jason to any organization looking to take their culture and teams to the next level. Thank you Jason! Jason joined the AA-ISP (Global Inside Sales Association) for our Spring Leadership Retreat with 50+ Sales Leaders from companies of all sizes (Merck, Intel, Microsoft, Thermo Fisher Scientific, Houghton Mifflin Harcourt, etc.). Our event focused on ‘Culture Change’ and Jason was the perfect Guest Speaker for this 3-day event! Attendees gained so much knowledge from Jason’s talk and loved playing the Cards Against Mundanity game. Thanks again, Jason!